For so many of us, September, even more than January, represents the start of a new year. Our souls are filled with new life (okay, maybe it’s just adrenaline and chaos) as our kids skip back into school, a chill settles into the outside air, the green leaves turn colorful, and football, of course, is finally back in season. 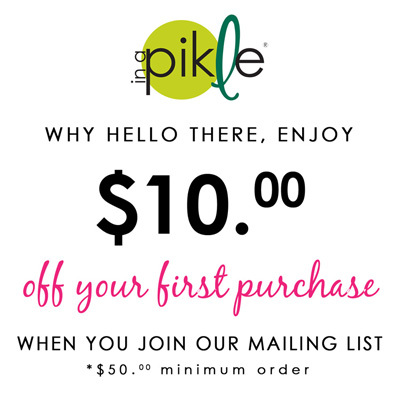 At In A Pikle, our goal is to keep you organized and prepared for life’s little emergencies. We love to talk about how Pikles are ideal for your cars, purses, backpacks, and offices. And since it’s officially autumn and America’s favorite sport is officially back in action, we’re thrilled to inform you that the Pikle is also the perfect companion for football games. When you go to watch your pro team, there are safety regulations regarding the types and sizes of bags you can bring into the stadium. According to nfl.com, small clutch bags (approximately the size of your hand) are allowed into the stadium. Additionally, clear bags are encouraged. Combine these two things and you essentially have a Pikle! The Pikle’s compact size and clear interior pouches make it the perfect stadium bag. So, pack your Pikle with game day essentials, gather up the family, and head on out! Spread the word to all of your football-loving friends: the Pikle is the perfect bag to bring along to games this fall. Don’t find yourself “in a pickle” with the wrong stadium bag – just use your Pikle to stay organized, prepared, and ready to cheer for your favorite football team!